Copyright © Helene Ruiz - All rights reserved. Copyright © Helene Ruiz – All rights reserved. Helene Ruiz was born in New York City January 15th, 1958 and has been drawing and painting since childhood. Her father was the major influence in her creative interests and he always encouraged her to express herself through her art.. He, being an artist himself, was her teacher, mentor and inspiration. In 1973 Ms. Ruiz received a scholarship to a summer arts workshop at the Metropolitan Museum of Art. She had the opportunity to meet Salvador Dali in person while attending one of those classes, which helped to confirm her passion for surrealism. 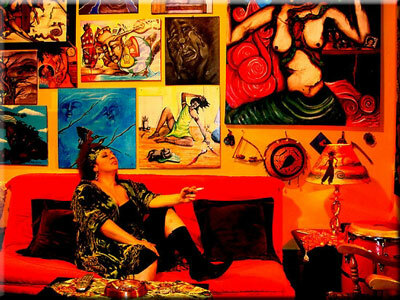 She has exhibited her works in numerous shows from New York City, New Jersey, Pennsylvania, New Orleans, Maryland, Jamaica W.I., Dominican Republic, South Florida, Paris France, Amsterdam Holland and Virginia. After severe spinal injuries, she realized the importance of art in her life and how impactful it was in her healing. In October of 2008 Helene Ruiz organized the Urban Individualists, an artists collective. This artist collective was born from the vision of Helene Ruiz, an artist who resides and works out of her apartment in the Bronx, NY. Her vision is to assemble a group of artists, both visual and performing, into a collective body. This group represents a multicultural and international network of collaborating individualists cohesively working as a unit. Ms. Ruiz has worked long hours to link her dream to the aspirations of others. The Urban Individualists believe that we can make an impact in art as a collective body, separated only by our distinct styles. We have a voice that needs to be heard and a vision that needs to be seen. 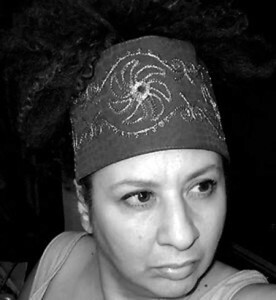 Since organizing this collective, Helene has curated and organized many multi-media exhibits throughout NYC, Virginia, Maryland, New Orleans, South Florida and the Carribbean, creating opportunities and finding venues for artists to show their works in order to give artists who have never been seen before the platform in order to establish an artists resume, gain recognition and use their “voice” in their medium of choice. In 2011 The disciples of Humanity served Helene an award for the work she has done within various communities enriching those communities with culture, education and art. Helene Ruiz’ artworks are published in several books and magazines. Helene Ruiz lives and works out of her apartment. Helene’s Artist Statement: Art is my passion, religion and salvation. It is my way of surviving and coping. I paint what I feel, when I feel, Although most of my works are considered “surreal” in style by many, my work is actually my “reality” and my perception and creative expression of my life and my interpretation of my environment and the lives of others around me. There is no “correct” way to conclude the meaning behind my work as it is meant to reach inside of you and for you to decide how it relates to your soul, your life, your experiences. I love to paint, I cannot imagine my life without it, nor do I think I would have survived without it. Painting is my true “freedom” as I can say whatever I want without restriction. I can express myself when words are at a loss. The stories behind my works are many, I would love to hear how my works may relate to your stories.